The medical admission for 2018 has finally come alive with two latest updates from CBSE. 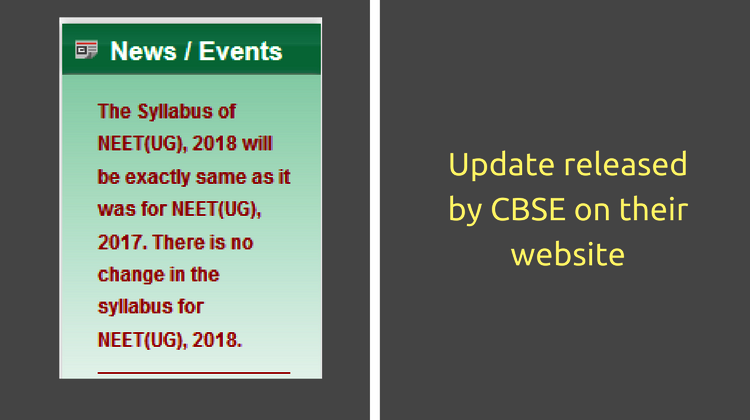 The first update was regarding the suggested change in syllabus for NEET 2018. The second update was regarding the scheduled examination date for NEET 2018. This statement caused panic and anxiety among NEET aspirants and parents. 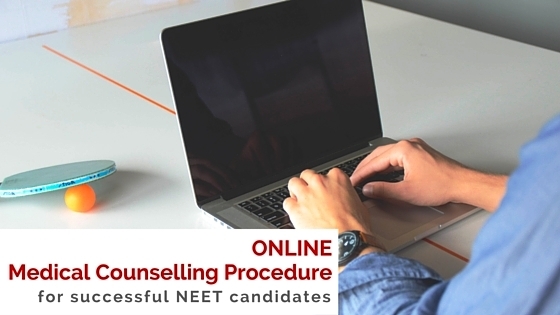 The candidates were of the opinion that it was too late to effect any changes in the syllabus for NEET 2018. They were afraid that their efforts in preparing for the NEET exam over the last two years could be in vain if there were changes to the exam syllabus at the last minute. 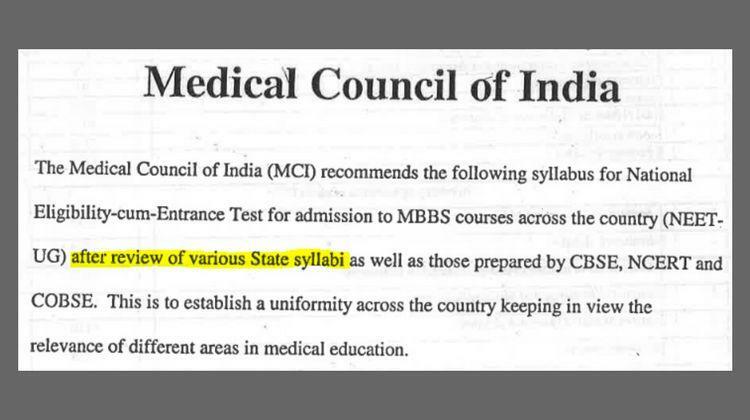 So, it is clear that MCI had already taken into account the various state syllabi while framing the syllabus for NEET 2016 and NEET 2017. If MCI is to be believed, then we have to conclude that the Minister’s statement has unnecessarily created tension among the student community. Fortunately, CBSE put to rest all the discussions by releasing a clear statement on their web site quickly. 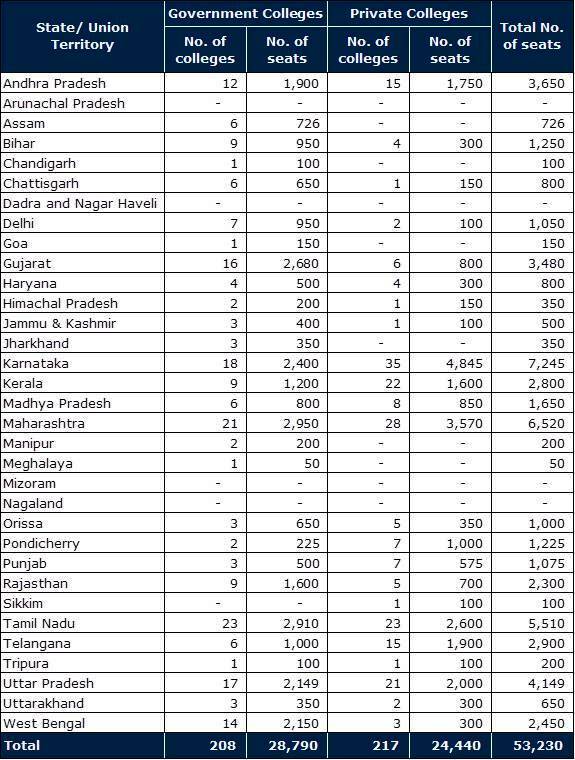 “The Syllabus of NEET(UG), 2018 will be exactly same as it was for NEET(UG), 2017. There is no change in the syllabus for NEET(UG), 2018”. So, don’t panic; relax and focus on your preparation based on the syllabus released for NEET (UG), 2017. Normally, CBSE conducts NEET exam in the month of May, on the first Sunday. 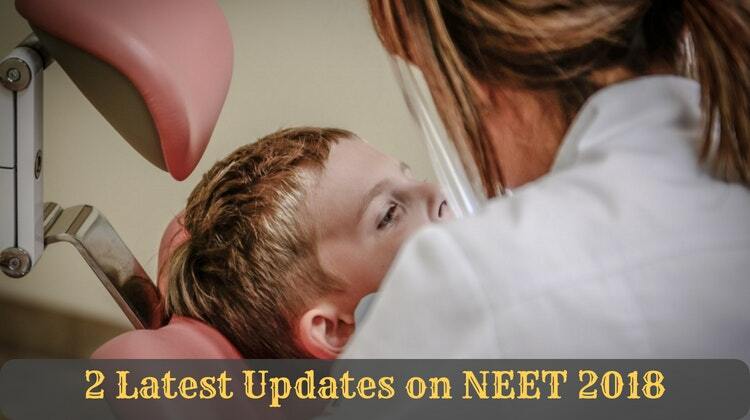 However, there was some confusion, based on some media reports, that NEET 2018 may be held on 10th May 2018. However, it was just a rumour. 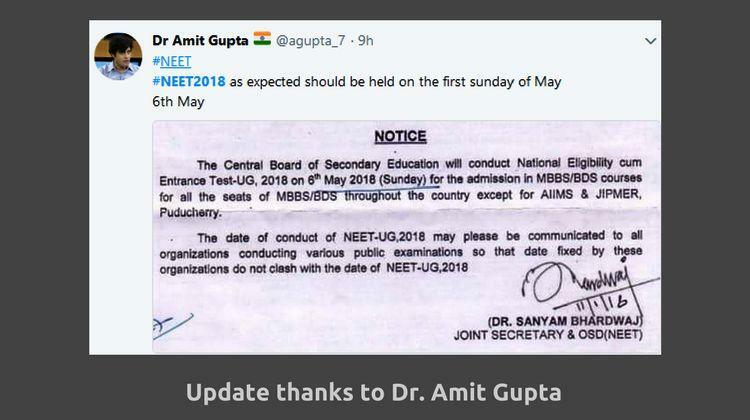 It is now confirmed, by a Notice from Joint Secretary and OSD (NEET), that NEET (UG), 2018 will be held on the first Sunday of May 2018, that is 6th May 2018. While it is heartening to see some clarity on the above two issues, it is still NOT clear when CBSE will commence registration for NEET 2018. While AIIMS and JIPMER have released their complete schedule months ahead, it is frustrating to see that CBSE has failed to follow suit. 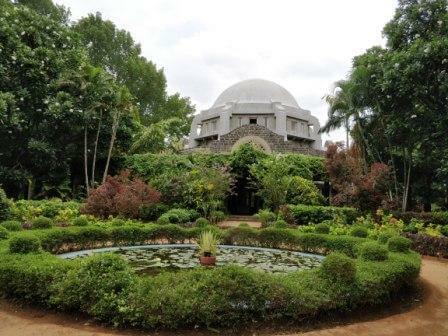 It is very important for MCI and CBSE to learn lessons from the previous years and improve the conduct of examination and counselling process year on year. 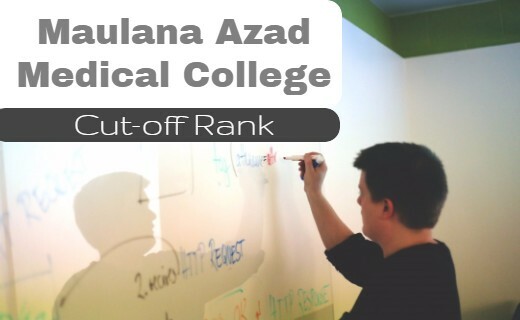 Certainly, 2016 and 2017 were traumatic for medical aspirants and their parents. I do hope that it doesn’t repeat again in 2018. 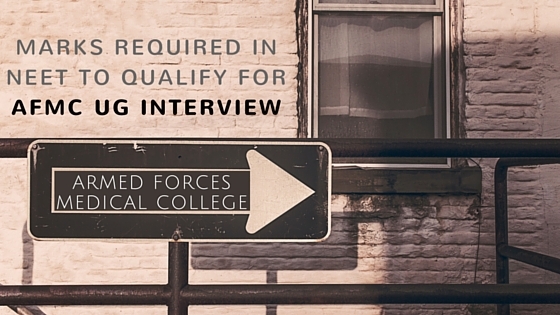 CBSE/ MCI/ DGHS/ MOHFW needs to understand that “Failing to Plan is Planning to Fail”.